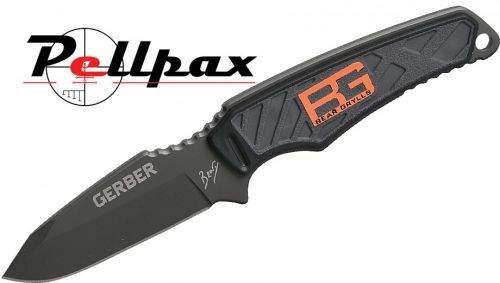 The Ultra Compact Fixed Blade from Gerber is one of the lightest and smallest fixed blade knives on the market and features a full tang construction that greatly improves the knifes strength. The Ultra Compact is a sleek, portable knife and is the result of Gerber Teaming up with renowned survivalist Bear Grylls. The blade itself is made in a drop point shape that makes it extremely versatile and useful for a variety of tasks. The Ultra Compact features handle made from glass reinforced nylon that is equipped with a lanyard hole that makes the Ultra Compact easy to carry around. Comes with moulded sheath. Add this item to your basket & spend an extra £447.01 to apply for finance.